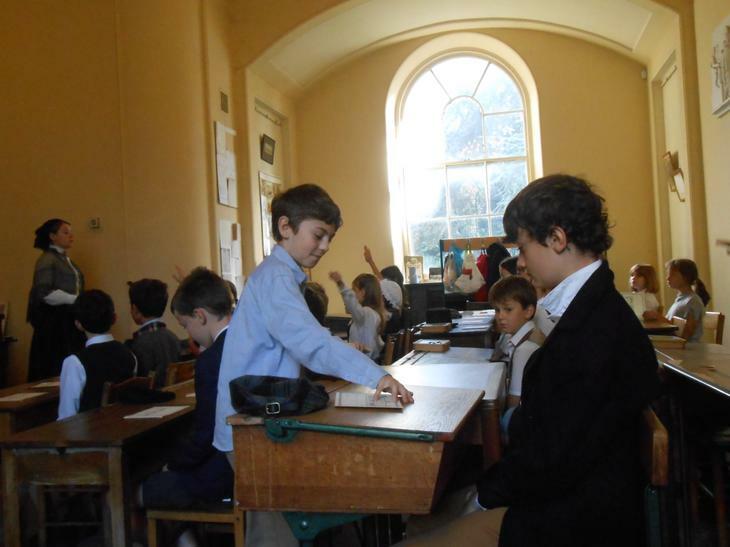 On the 30 September and 1 October 2014, year 6 went to Gunnersbury. 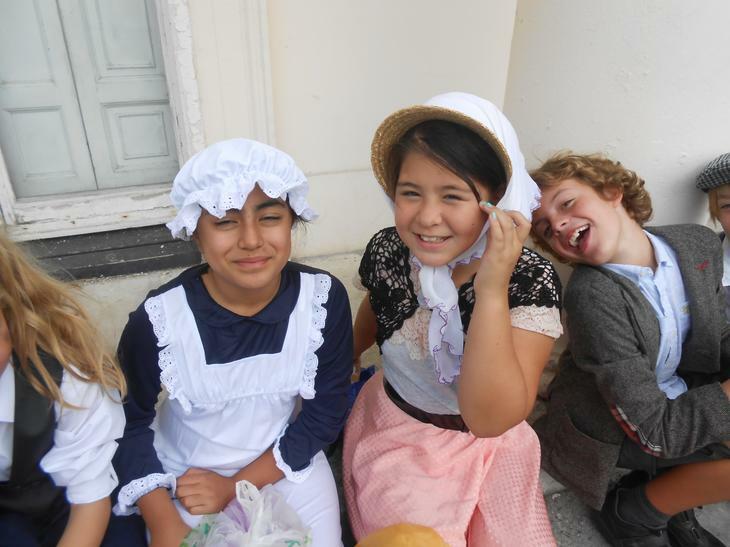 Everyone came into school wearing amazing Victorian costumes including all the teachers. 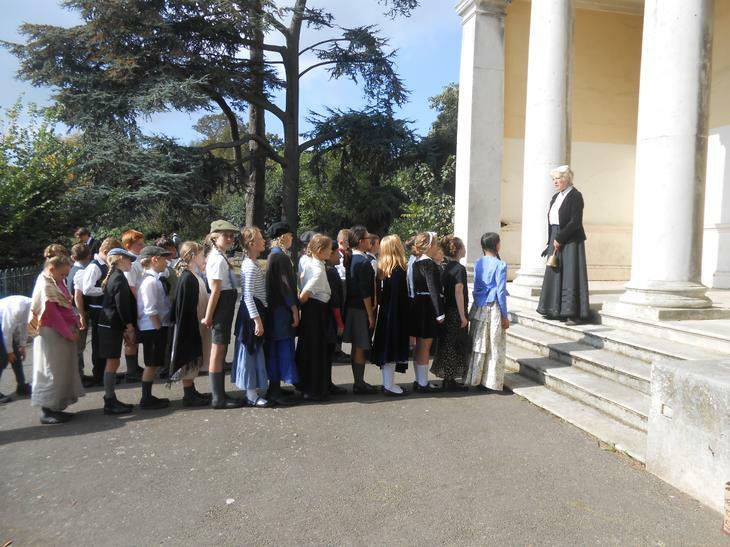 Then we headed off to Gunnersbury Park for what promised to be a fantastic trip. 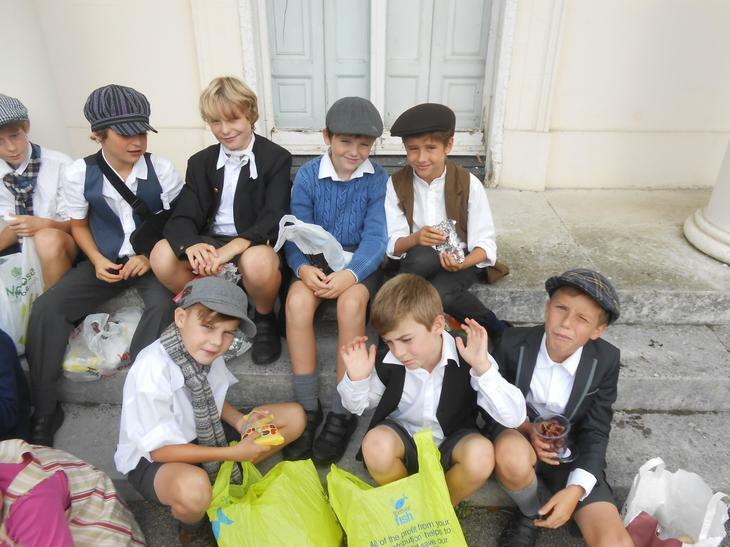 After a long forty minutes, we eventually arrived. Keep your hands in your laps. 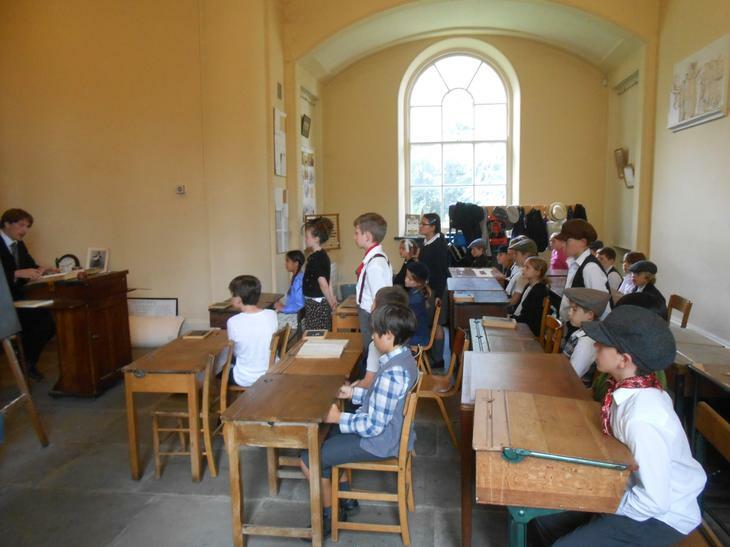 Also, there were a lot of harsh punishments as some of us discovered. There was the Dunce’s cap which was for when you were foolish. The back straightener was used to stop slouching and sometimes they used the finger stocks for people who couldn’t stop fidgeting. 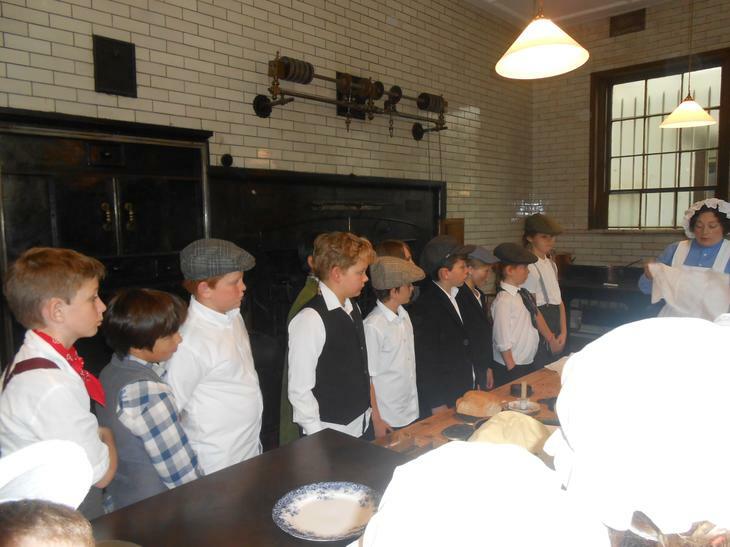 After lunch, we visited the kitchens. 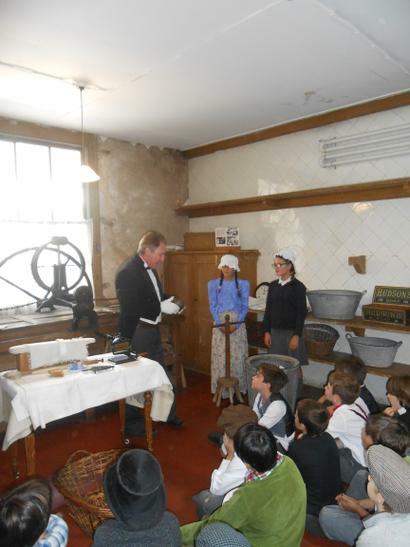 The jobs that we could do were cleaning maids, kitchen maids, laundry maids and footmen. 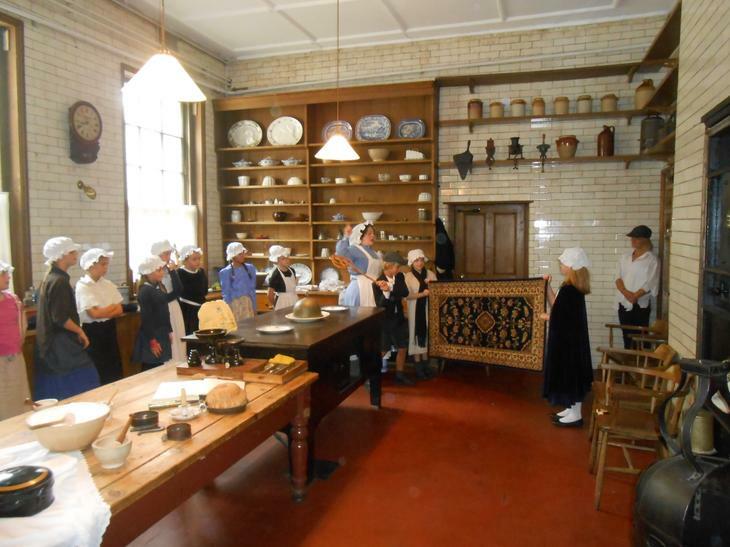 If you were a cleaning maid, you would have to scrub the floor, beat the carpets and prepare the chimneys. 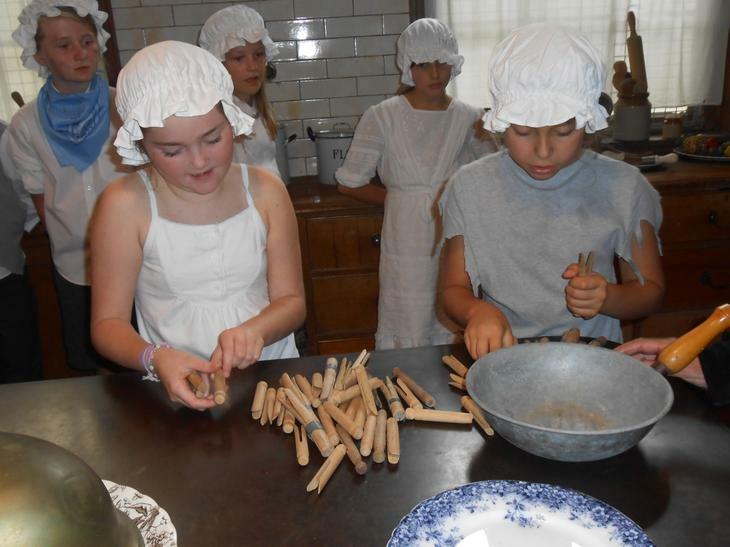 As a kitchen maid you would have to do things like grinding the sugar and the spices. 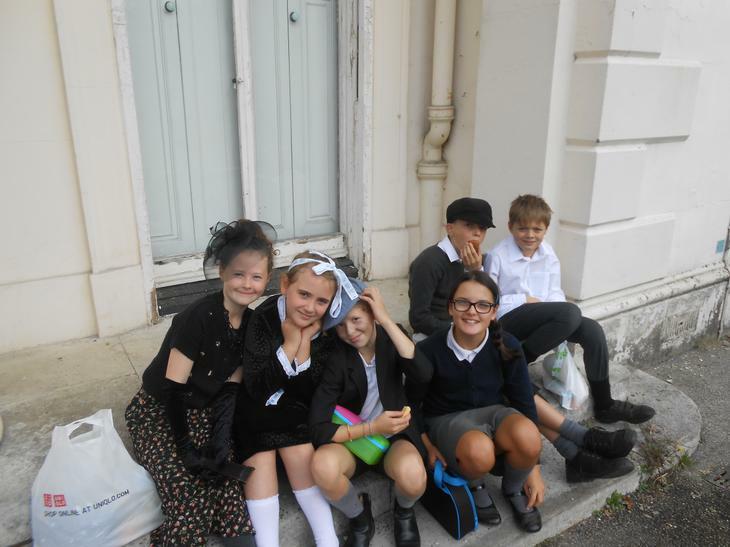 All in all, we had a really fun time as well as learning lots.